For the first time in modern history, the true origins of Judaic Mysticism (the Kabbalah), Christian spiritual beliefs and other derived practices of ceremonial magic (such as the Enochian system, Hermetics and Golden Dawn methods) can now be traced directly to the archetypal ‘Sky-God’ traditions of the prehistoric Mesopotamia: The post-Sumerian Babylonian “Star-Gate” system dedicated to the Anunnaki. ENOCHIAN MAGIC & KABBALAH: Summoning Angels, Aliens, UFOs and Other Divine Encounters (by Joshua Free) celebrates its 5th Anniversary with a new second edition! The modern contemporary outlook on the ‘alien’ or ‘extraterrestrial’ and ‘inter-dimensional’ source behind these many experience is what ties it together. So long as people have been forced into a paradigm where the spiritual and mystical encounters of the past are made to look ‘ridiculous’, without basis and a fantasy-legend to tell our children to get them to sleep, no real ‘advancement’ can be made on the understanding and practical incorporation of these mysteries into everyday life. For this reason, the more ‘orthodox’ and ‘static’ systems of religion and spirituality that have dominated the Piscean Age are seeing a decline in membership and true practitioners for the simple fact that we are realizing more and more just how ‘fragmented’ they have actually become. And since we do not see the ‘greater systems’ bending at all to the new realizations available, it is us who must do the changing and usher in a new and authentic ‘paradigm shift’, which is what this whole “New Age” (Aquarian) is supposed to be about in the first place. In Enochian Magic & Kabbalah, prolific occult writer, Joshua Free, brings together what is known of the ancient “Ladder of Lights”, the BAB.ILI system that constitutes the original “Tree of Life” ‘kabbalah’ found graphically present on ancient renderings and its connections to the later Judeo-Christian traditions and the evolution of human understanding of “Anunnaki”, “Igigi” and other sky-beings into the Hebrew renderings of the “Nephilim”, “Anakim”, “Elohim” and the like. While new technological advancements bring no shortage to the intellectual Ego of the human mind, the entire purpose of existence, the source of the human species and the knowledge and paths that brought us to where we are now, have all been left behind, swept under a rug or otherwise been ‘concealed’ from the ‘commonplace reality’ of contemporary life. Assuming things were to remain so, the human race would be successful in only destroying themselves and leaving a huge mark on the planet in its wake – change must come, for the alternative is annihilation. Reexamination of the most ancient tablet renderings of the Anunnaki and the way in which they had initially developed among the local populations (to Mesopotamia) thousands of years ago should help to shed new light on the history of human civilization, the development of its cultural and religious beliefs and the way in which this interaction between people and god has affected their lives. Today, in spite of the ‘normalcy’ attached to orthodox religions, humans live and act as a godless people, with no fear of someone watching over them in addition to being simply content with operating the program as they have been given it. As the ‘next generation’ rises into maturity, understanding and power, we believe that these things will change; that new eyes and new vision will bring a New Babylon – a new world – to the planet and new evolutionary potential for the life living upon it! ENOCHIAN MAGIC & THE KABBALAH illustrates the singular origin of the mystical and spiritual traditions on the planet, all directed toward a human relationship with the “Divine“, however that might be viewed — angels, elementals, fairies, gods or other ‘alien’ beings — and more importantly, the methods by which they have been attracted into one’s life. Since all of our available traditions today seem linked to these antiquated ‘Divine Encounters’, it seems fitting to make a self-honest exploration of the nature of these origins of belief and how they may affect our abilities to perceive the world and affect reality today. Druidic traditions of the Winter Solstice surface to mind more quickly, since they are the most relatively recent customs and rites observed in the Western Europe and our known history, from which America is founded. Ancient Egyptians and Mesopotamians also observed the astrophysical phenomenon of the solstice. During the winter season, at a time when the wildlife is hibernating and quiet and the Green World of Nature appears to have recessed into a state of retirement, the evergreen trees stood out among other trees. They were revered for their ability to sustain the harsh season, observed to be better equipped to handle the pressure of wind-storms and the weight of snow. Their resilience and longevity was attributed to this very fact; they were able to “bend” gracefully to external influences, while still maintaining their own independence. YULE LOGS existed in pre-Christian Phrygia/Galatia (Turkey) and Mesopotamia all the way across Europe to the British Isles. It was kindled on the remains of the log saved from the prior year’s observation, after the ashes have been removed. The large log was fed into the hearth over a period of twelve nights (until “Twelfth Night”). Meanwhile, the ashes from the previous year are ritually cast about the field to ensure fertility for the coming year. A part of the Yule Log is always kept to use in kindling the next year’s fire. This is retained for use as a sacred amulet of protection for the household all year long, often kept near the hearth to ward away lightning. As much as the Christmas tree has essentially nothing to with the religious event of Jesus’ birth, the Elven-Norse symbolism of the “Holly King” or “Santa Claus” has even less. Today, a mythos of Santa Claus is recognized that is far removed from its original form. The Yuletide colors have always been red and green and occasionally white, gold and silver. These are the earth tones that Santa originally wore. In the early 1900s, the Coca-Cola Bottling Company used their own color scheme to harmonize their product with Santa and the holidays. The motif stuck. They were successful in directing a cultural shift in accepting this now famous red and white suited archetype. THE ROMANIAN STRIGOI are not just any Vampyres. They are the original Transylvanian Vamps, the Cursed Ones, the Damned. They are the ones never finding rest in material death and eternally wander the earth unsatisfied. They Feed on mortals without reservation or respect and are the base-model of 20th century Vampires, starting with Dracula. Strigoi emphasize power as Blood and recognize Bloodlines as FamTrad Legacies. They encourage “Sanguine” vampyrism and carry most of the usual traits: pale skin, blood drinking, inhabiting tombs and haunting crypts. Ancestors remain a significant part of the religion as Undead they call the Strigoii Morte. Starfyre energy continues to be exchanged (or passed down) within the family Legacy even after First Death, as a means for perfecting the etheric body. We find lore of the famous Vlad III, Vlad Tepes, Vlad the Impaler – the one called Vlad III Dracula, meaning: Son of Vlad II Drakul. A prince of southern Romania is celebrated as a national hero and not as a Vampire. Although Vlad is often considered some character basis for Bram Stoker‘s famous work, there is actually very little similarity connecting the two, aside from some names and locations. There is also nothing in lore or history connecting Vlad with any true Vampyric or Strigoi religious traditions. Vampire Hunters, Holy Orders of the Church and Dragonslayer Knights all suddenly appear in the Realm as if from nowhere during the Dark Ages, a time of significant vampire activity. Lore of crosses carried as amulets, wooden stakes, garlic necklaces and holy water all develop during this time. It is curious that mundane outsiders would have such a problem with Our culture. By Our standards, Christianity is simply another tradition that, like Us is based on teachings of an Undead deity – one containing elements of both Living Vampyre and Living Zombie traditions. Consider the “Last Supper” where their deity upgraded his human followers by exchanging power through transhuman Blood. This is exactly the same as the esoteric tradition of Sanguine Starfyre practices. This mardukite.com blog is officially excerpted from the Liber-51/52 materials recently released in the NEW mardukite.com exclusive edition of the GATES OF THE NECRONOMICON anthology edited by Joshua Free. These materials are also available as Mesopotamian Religion by Joshua Free or Sumerian Religion II. Perhaps the most fundamental ‘formula’ of the magical system in Babylonia, if there is one, goes back to the heart of the system born of the scribe-priests and the figures who brought this system about – NABU and the appropriation of his father, MARDUK as the chief director. This is the spiritual acknowledgment alluded to by the Incantation of Eridu, also known as the ‘Incantation of the Priest of Eridu’ (Eridu being the shrine-home of ENKI), or the ‘Incantation of the Deep‘, which simply refers to another name for the far-away abode of ENKI near the Persian Gulf. upon MARDUK by ENKI, then passed onto NABU during the solidification and heights of the Babylonian era. The esoteric key in effect here is that the priest conducts the incantations (ceremony) as the embodiment of an intermediary ‘messenger’ deity – the original semantic of the word “invocation” – thereby directing the cosmic (world) order, in essence, first hand. In short – the magician approaches his deity as himself – a servant priest – and petitions to assume the godform, whereby he continues the ceremony as a divine representation of the god ‘invoked’. An almost identical principle appears within Semitic mysticism and the Judeo-Kabbalah – an excellent example being found in contemporary Catholicism, when the priest ‘assumes the Christ-form‘ to effectively perform a perceived alchemical transmutation on the sacramental bread and wine, conducted as a representative of Jesus on earth, in imitation (dramatic reenactment) of the ‘Last Supper’. It is not I, but Marduk, Slayer of Serpents, Who summons thee. It is not I, but Enki, Father of Magicians, Who calls thee here now. The Priest of E.A. [Enki] am I. The priest of Damkina [Ninki] am I. The messenger [Nabu] of Marduk am I. My spell is the spell of E.A [Enki]. My incantation is the incantation of Marduk. The ‘magic circle’ of EA [Enki] is in my hand. The tamarask, in my hand, I hold. I am the Priest of Marduk, Son of Our Father, Enki. I am the Priest of Eridu and the Magician of Babylon. EA [Enki], King of the Deep see me favorably. I, the magician, am thy slave. Add thy pure spell to mine. Add thy pure voice to mine. Let me be blessed, wherever my path rests. Thy power, shall god and man proclaim. And I too, the magician, thy slave. Returning to a an older version, transliterated by E.A. Budge for “Babylonian Life & History” (1883), we see a different method used toward petitioning the “younger pantheon” to the side of the priest. I am the Priest of EA [Enki]. I am the Magician of Eridu. Shammash [Samas] is before me. Sin [Nanna] is behind me. Nergal is at my right hand. Ninurta is at my left hand. Anu, above me, King of Heaven. Enki, below me, King of the Deep. The power [blood] of Marduk is within me. It is not I, but Marduk, who performs the incantation. Yezidi (Yazidi), an unbroken unique gene of middle eastern people extending directly back to ancient pre-Semitic Sumerian Mardukites, practicing a tradition of modern Zoroastrian Yazdânism derived from the monoltry monotheism to Marduk of Babylon observed as Melek Ta’us or Shaitan (Shaytan), have been threatened with genocide in Iraq by the Islamic State (IS/ISIS). 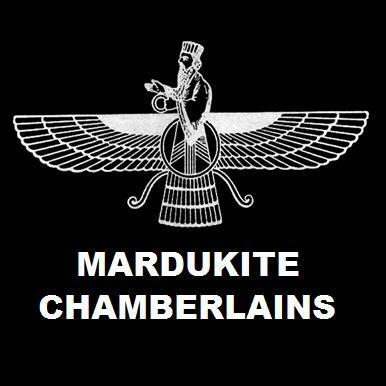 The Mardukite Research Organization (Mardukite Chamberlains) naturally lends a sympathetic ear to these current events in our modern world-at-large. Details concerning this can be found in the Mardukite Year-1 anthology: NECRONOMICON – THE ANUNNAKI BIBLE containing the raw underground materials shaping the existence of man’s beliefs and practices for thousands of years; right from the heart of Sumer, Babylon and Egypt! Studies include the Mardukite inception within tablets from Akkadian, Assyrian, Chaldean, Yezidi and Zoroastrian traditions also! This enlarged Sixth Edition includes the complete Maqlu Text recently translated for the separate volume “Maqlu Magic” or “Necronomicon Spellbook II” in addition to several other unique updates from previous editions! 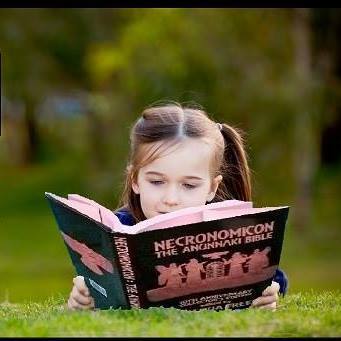 NECRONOMICON – THE ANUNNAKI BIBLE is the most complete collection of Sumerian and Babylonian accounts of prehistoric and ancient human history and civilization in one book, composing in itself a ‘bible’ and actually proving to be the predecessor and basis of all global scripture-based religious traditions thereafter. Few occultists who remain in the Light are probably privy to lore of the ancient Yezidi sect. They follow a tradition dedicated to the “God of the Black Mountain” who gave to them wisdom in what is known as the oldest of the “Black Books”. While the Realm of Light has shied away from such – or believed they have attained more than a glimpse of it in their “Books of Shadows”, it is this Divine Encounter that has been omitted from traditional biblical tales for its connections and devotion to the Darkness. manifest in Maitreya for Buddhists. In accordance with the Yezidic Tradition, there is an All-Father or YAZDAN who created the Seven ANUNNAKI (“emissaries” or “angels”) including Azazel (or Azazil – generally equated with Erra/Nergal or Samas/Shammash/Utu). The word “Azif” and the actual book, “Al Azif”, is a Yezidic tome detailing the lore, or literally “howls” of the Djinns (or jinn). Discover even more about the Yezidi, their doctrines and rites, including Zoroastrianism and its evolution from the ancient Mesopotamian Anunnaki stream as explored in the World of the Mardukites — order your copy of the NEW 6th edition NECRONOMICON ANUNNAKI BIBLE today! Nearly 600 oversized pages now available in this exclusive mardukite.com edition for only $29.95, the most valued offer ever made available from the Mardukite Truth Seeker Press in commemoration of the Quinquennial Anniversary of the Mardukite Research Organization (Mardukite Chamberlains). Welcome to the fourth 2014 online edition of New Babylon Rising, a continuing effort toward the preservation of the most ancient literary records regarding human development and potential, particularly those concerning supposed divine encounters, the fragmentation of religious systems and spiritual technologies. My name is Joshua Free and I have dedicated years of my life to develop the most definitive ground-breaking revolutionary NexGen library archive of materials available to modern society erupting from work derived from the publicly founded Mardukite Research Organization on the Summer Solstice of 2008 — an effort continuing to this day, touching the lives of thousands around the planet! May you continue to grow strong in your evolution. :: Sumerians, Sargon, Akkadian Babylonians & Ancient Mesopotamian Kings…oh, my! MARDUKITE NECRONOMICON — “Real” ANUNNAKI BIBLE is Origins of Everything! Even Judeo-Christian Scriptures! Le Nécronomicon du Nouveau Millénaire: Le Grimoire Égypto-Babylonien — Mardukite Liber N French Edition! An official extension of the mardukite.com alliance.